Complete plug and play ProBEAM® LED front and rear turn signal conversion kit for 2014-2019 Harley-Davidson® Street Glide (FLHX), Street Glide Special (FLHXS), Road Glide (FLTRX), Road Glide Special (FLTRXS), Road King Special (FLHRS), 2018-2019 Softail Slim (FLSL), Softail Breakout (FXBR), Softail Street Bob (FXBB), Softail Fat Bob (FXFB), Softail Fat Boy (FLFB), 2011-2017 Harley-Davidson® Blackline (FXS), Slim (FLS), Slim S (FLSS), Breakout (FXSB), Street Bob (FXDB), 2012-2017 Dyna Wide Glide (FXDWG), Dyna Low Rider S (FXDLS), 2014-2019 XL1200X, XL883N, XL1200V, XL1200CX, XL1200NS, 2011-2012 Softail Convertible CVO (FLSTSE2), 2014-2015 Softail Deluxe CVO (FLSTNSE), and 2014 Softail Breakout CVO (FXSBES). 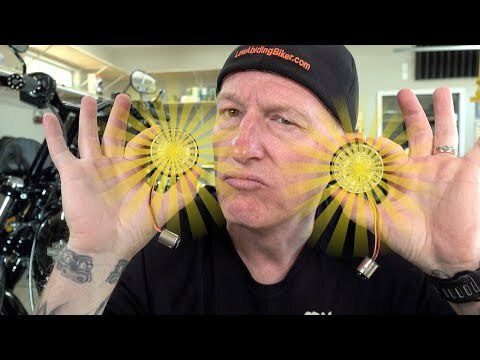 Front turn signal lenses: ProBEAM® Amber/White Dynamic Ringz™ include smoked lenses; ProBEAM® Solid Amber LED Turn Signals include amber lenses. 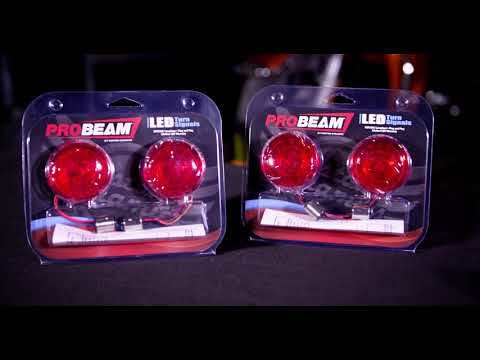 ProBEAM® Turn Signals are DOT and SAE Compliant and are backed by the Custom Dynamics® Lifetime LED Warranty. Fitment includes US Harley-Davidson® models equipped with Bullet Style dual intensity 1157 rear turn signals. Signal Stabilizer™ or Load Equalizer NOT required on these BCM models. Plug & Play on 2014-2019 Harley-Davidson® Street Glide (FLHX), Street Glide Special (FLHXS), Road Glide (FLTRX), Road Glide Special (FLTRXS), Road King Special (FLHRS), 2018-2019 Softail Slim (FLSL), Softail Breakout (FXBR), Softail Street Bob (FXBB), Softail Fat Bob (FXFB), Softail Fat Boy (FLFB), 2011-2017 Harley-Davidson® Blackline (FXS), Slim (FLS), Slim S (FLSS), Breakout (FXSB), Street Bob (FXDB), 2012-2017 Dyna Wide Glide (FXDWG), Dyna Low Rider S (FXDLS), 2014-2019 XL1200X, XL883N, XL1200V, XL1200CX, XL1200NS, 2011-2012 Softail Convertible CVO (FLSTSE2), 2014-2015 Softail Deluxe CVO (FLSTNSE), and 2014 Softail Breakout CVO (FXSBES). Add a Magic Strobes™ Brake Light Flasher to add eye catching brake light flash and strobe patterns for added visibility.